New Years Resolution–Save the Bay! Want an original New Years resolution? Why not do your part to save the Chesapeake Bay! If you live in DC, WV, MD, VA, PA, NY, or DE, there’s a good chance you live in the Chesapeake Bay watershed. The Chesapeake Bay program has written a short summary of how you can help to save the bay this coming year by controlling stormwater runoff from your lawn. If you don’t quite remember why we need to reduce pollution in our stormwater runoff, check out our family’s adventures in stream monitoring to see the effect of pollution on our local streams and rivers. And if you’d like to learn more about eco-friendly landscaping, we’ve covered that too! Here’s to a happy and green 2014! If you want to be sure to get all the greenest updates in 2014, be sure to “Like” greenmomster on Facebook. So you slept through science class, part 9–what’s a “niche”? Want to keep up on the science classes? Be sure to “Like” greenmomster on Facebook! The Los Angeles Times recently reported (12/5/2013) that the U.S. Fish and Wildlife Service is considering listing under the Endangered Species Act 11 tarantula species found in India and Sri Lanka. These beautiful creatures are threatened by the international pet trade. We’ve also written about other endangered spider species – the Kauai Cave wolf spider. So why should we care about spiders? The answer is because they fill a specific “niche” in their environments. Often, when it comes to endangered species conservation, the public wants to concentrate on the big, exciting animals – lions and tigers and bears, oh my! We call these creatures “charismatic megafauna.” They certainly are fun animals to watch and photograph, but remember that each of these large species depends on a healthy, functioning ecosystem to survive. As we discussed in part 5 of the science class series, ecosystems depend on biodiversity to stay healthy – each ecosystem requires the proper mix of plant and animal species in order to function properly. The reason these plant and animal species are necessary, is because each species plays a very specific role in the ecosystem. Ecologists call this role the “niche.” The niche includes everything that an animal eats, everything that the animal might feed (if it’s a prey species), any changes it makes to its environment as it finds shelter, etc. To put it in human terms, your niche would be your home, job, hobbies, etc. If one species disappears, its role or niche is no longer filled. The loss leaves a hole in the ecosystem structure (picture a spider web with a big hole poked in it). So even a creature as small as a spider plays an important role in its ecosystem; that’s why we care about conserving spiders! Want to learn a few fun spider facts? Here we go! North America is home to over 3,000 of the approximately 40,000 species of spider worldwide! Some spiders spin webs each day and eat them at the end of the day to recycle the protein in the strands! Pound for pound, spiders’ silk is one of the strongest fibers on Earth! Spiders have been sent into outerspace! For more information on these “spidernauts”, see NASA’s website. Check out Esmerelda as she dines at zero-gravity on the international space station! Earth’s Endangered Creatures. 2006-2013. http://www.earthsendangered.com/. Accessed 10/31/2012. NASA. 2011. International Space Station, Research Website. http://www.nasa.gov/mission_pages/station/research/news/space_spiders_live.html. Accessed 10/31/2012. U.S. Fish & Wildlife Service. 2006. Kauai Cave Wolf Spider (Adelocosa anops), 5-Year Review: Summary and Evaluation. Here’s a tasty and very easy mid-week recipe I’ve adapted from one found in the Mosby Woods Elementary School Cookbook (Betty Crocker’s Impossibly Easy Cheeseburger Pie). As long as everyone at your home likes eggs and cheese, you’re set! In a separate bowl, mix together Bisquick, milk, and eggs with a fork or whisk. Pour into pie plate. Bake about 30 minutes or until an inserted knife comes out clean. Want to get meat-free recipes every Friday? Be sure to “Like” greenmomster on Facebook! Truth be told, I really don’t like grocery shopping, so I’ve tried the grocery delivery trucks. I didn’t like the system, not one little bit. The company I used never delivered on time, left me waiting for literally hours beyond the delivery time (and yes, I had to be home), and delivered using at least 20 plastic bags per trip. Since I live within a mile of several grocery stores, it would take a lot to get me to try delivery again. But, as I said in the info page of this blog, there are different methods of reducing one’s environmental footprint – the key is choosing what works for you. Perhaps this type of service would be a green alternative for other greenmomsters. For those greenmomsters wanting to give this method of grocery shopping a try, it may really pay off environmentally! See if they’ll let you return bags for reuse to make the service really green! Tyler, D. 2013. “How Green is Grocery Delivery?” in Conservation, Fall 2013. p. 7. from original journal article: Wygonik, E. And A. Goodchild. 2012. Journal of the Transportation Research Forum 51(2): 111-126. My love is bigger than a honda. It’s bigger than a subaru. About a week ago I found out what I’m getting for Christmas – a new (or different) car. Yes, our loyal 13-year-old jalopy has developed nasty leaks and has decided to call it quits. Even our trusted mechanic agreed – the time has come. So I began the search! Of course, since I’m a greenMOMster I checked out all the safety ratings of the cars that we’re considering. But what about the gas mileage? Well, here’s a nice surprise – unlike some of the other government websites that will remained unnamed, I found a great government website that allows car shoppers to compare the gas mileage and annual fuel costs of the cars they’re considering – very cool! All you have to do is go to the U.S. EPA’s fuel economy website, select four cars that interest you, and the website provides a nice comparison with lots of helpful information. Another informative site is the American Council for an Energy Efficient Economy’s (ACEEE) greenercars.org website. Of course, a car’s “green cred” isn’t just about fuel efficiency. Many other factors come into play, such as the type of fuel it uses (how green is the production of that fuel?) and what sorts of environmental impacts were created in manufacturing the car? There’s a great website, based out of the UK, that gives information on this topic. Not all U.S. cars are listed, but it’s a good place to start. Check out Next Green Car for lifecycle info. Unfortunately, with 3 kids and 3 dogs, I’m not checking out the most fuel efficient models – our greenest choice is to leave the car home as much as possible – but at least this website allows us to do a little comparison shopping to find our best options. It won’t be a pink cadillac, but it’ll have a nice sound system so I can listen to the Boss while drivin’ the new family swag-wagon. Finding a win/win for humans and wildlife! If you’re anything like me, you enjoy the buzz in your garden when the weather warms up and the bumblebees are all over the lavender and joe-pye weed in your garden. The fall and winter just feel cold and lonely in the garden without that familiar buzz. Well chins up, greenmomsters! There’s a project that you can look forward to in 2014! Join the Xerces Society in their citizen science project – Bumblebee Watch! As things warm up next spring, you’ll be able to help scientists determine the number of species and the number of individual bees in North America! You can get all the info and sign up at the Xerces Society website. Want to keep up on other citizen science projects and green news? Be sure to “Like” greenmomster on Facebook! Be sure to "Like" greenmomster on Facebook for more green news! This dish is a HUGE hit at our house! We now have to double the recipe to have enough for everyone. It's adapted from a recipe in Family Circle Magazine. 1) Cook pasta to al dente. 2) Defrost chick'n tenders and season with celery seed, 1 tsp paprika, and salt. 3) Heat oil over medium heat in a skillet and brown chick'n tenders. Add celery and saute for about 4 minutes. Add garlic and cook another 2 minutes. Remove chick'n from skillet. 4) In a saucepan, melt 3 tblsp of butter and sprinkle in flour and mustard powder, whisking for 2 minutes. Add milk and buffalo wing sauce, stirring constantly until the mixture boils. Reduce heat and simmer for 3 minutes. Remove from heat and stir in cheddar and remaining tsp of paprika. 5) Add pasta, celery, garlic and chicken to the milk mixture and put in a square 9x9 pan. 6) Heat broiler to 450 degrees. Melt the remaining tblsp of butter and stir in bread crumbs. Sprinkle over dish and broil 2-3 minutes, until browned. 7) Serve with blue cheese as a garnish. For all things green, be sure to "Like" greenmomster on Facebook! Once again we’re dreaming of a white Christmas (and we might get it on the East Coast tomorrow! ), but what about a green Christmas? Last year, greenmomster started posting some ideas for making your Christmas celebrations a little more eco-friendly. Here are some old and new ideas for greening up the holiday! 1) The wrapping! Making Christmas gifts festive and fun to unwrap is part of the fun of giving the gifts. Even the Grinch knew that taking the wrappings might put a damper on things as he left Who-ville: “he packed up his sled, packed it up with their presents! The ribbons! The wrappings! The tags! And the tinsel! The trimmings! The trappings!” (XMAS FUN 2012). But then again, according to Earth911, “wrapping paper and shopping bags alone account for about 4 million tons of trash annually in the U.S.” None of us wants to be a Grinch, so how can we green up the wrappings? If you want to wrap gifts in wrapping paper, why not try recycled paper? And follow your mom and grandma’s lead – reuse that wrapping paper! You can always wrap gifts in tissue paper (I use the tissue paper that’s stuck into dry cleaned clothes), fabric, or even the comics. Reuseable gift bags can be used year after year (I have some bags that have been through at least 5 Christmases). Artificial trees – Here’s a fun fact from Earth911, “a U.S.-based toilet bowl brush manufacturer, the Addis Brush Company, created an artificial tree from brush bristles in the 1930s, acting as the prototype for modern artificial trees.” I’ll remember that tidbit, as I relax next to my beautiful fake tree that I enjoy year after year. Here’s the big con to artificial trees – most are made of non-recyclable, non-biodegradable metal and PVC. Thus, when you throw them away, they’ll sit in the landfill for many generations to come. Since my family keeps their artificial trees for decades (my mother has had her artificial tree for nearly 50 years), I’m not losing sleep over this con. A more troublesome issue with artificial trees -- most are produced overseas and must be shipped to the U.S. – think fossil fuels and pollution in production and shipping (Earth911 2012). If you’ve decided on a fake tree,GoodHousekeeping has some recommendations regarding brands to try. Real trees – Most experts agree that this is the more eco-friendly option. Over 30 million Christmas trees are sold in the U.S. each year, and 93% of those trees are recycled into mulch (Earth911 2012). Additionally, Earth911 (2012) reports that a single farmed tree absorbs more than 1 ton of CO2 in its lifetime! The cons? Since Christmas trees are an agricultural product, we can expect application of pesticides, fertilizers, and herbicides, unless they’re grown organically. Additionally, if you don’t live in an area where conifers grow naturally, add the cost of tree transport into your eco-footprint calculation (Earth911 2012). If you do get a real tree, just say no to the plastic mesh wrapping. Real LIVE trees – The most eco-friendly option. Buy a live, potted tree, which you can keep in your house for about 1 – 1 1/2 weeks and then plant outdoors after the holidays. 3) The cards! I come from a proud line of Christmas card senders and Christmas letter writers. So how can we green up this annual tradition? Send cards and letters online. Friends and family can read about your adventures in the past year, and then save, print, or delete! Try one of the eco-friendly card companies, using soy inks and recycled paper. One of my favorites is Minted! Send cards that support a green organization, such as the cards made by the National Wildlife Association or World Wildlife Fund. For the animal lovers in your family! Through many organizations, you can symbolically “adopt” an animal, and receive a plush toy, certificate of adoption, and a poster or photograph. Young children get a toy and wildlife organizations get badly needed financial support. Some of the programs I’ve enjoyed in the past include the National Zoo’s “Adopt a Species”, National Wildlife Federation’s Adoption Center, and World Wildlife Fund’s Species Adoptions. How about a new set of non-teflon coated cookware? Have you been wanting to upgrade your cooking utensils? By trading up for pots and pans that AREN’T coated in teflon, you’ll be reducing your family’s exposure to many harmful chemicals. Got an avid gardener in the family, or do you want to become one? Christmas is the perfect time to set someone up for a successful butterfly or vegetable garden in 2013 – garden tools, seeds, composting equipment, even rainbarrels are gifts that your family can enjoy throughout the year. Birdfeeders and bird baths are a nice addition to any garden. If you really want to go all out, how about beekeeping equipment? Lifelong learning! Gift certificates for classes are a waste-free gift that can be enjoyed throughout the year. Be it cooking, archery, knitting, photography, or architecture classes – you know they’ll love it! How about a gift that lets the receiver enjoy the great outdoors? Camping equipment was my gift at my last birthday! Not into camping? Think “roughing it” is a black and white TV? Then how about binoculars or a field guide for an aspiring bird or butterfly watcher, or a camera for the budding nature photographer? How about non-toxic soaps and shampoos from eco-friendly companies? Many manufacturers now make these products, but some of my favorites are The Body Shop, Aveda, and the Parsonage. Got someone in your family that enjoys camping or cabins? Virginia State Parks offer gift certificates that can be used for camping, cabins, parking, and picnic shelter rentals. Don’t live near VA? You can always give an annual pass for national parks and federal recreational lands. Need trip inspiration? Check out this post on Bryce National Park. Want more great ideas on how to green your holidays? Check out EarthEasy’s tips for green gift giving, wrapping, and lighting. From the greenmomster’s house to yours, we wish you a very merry and GREEN holiday season! Want meat-free recipes every Friday? Be sure to “Like” greenmomster on Facebook! As we get closer to Christmas and New Year’s Day, I bet you’ll be looking for a tasty recipe with blackeyed peas – wish fulfilled! Here’s the perfect meat-free dish for New Year’s! 1) Heat olive oil in a pan. Add green and red pepper and onion; saute until onion is almost translucent. Add vegetarian ham and saute for about 2 more minutes. 2) Add blackeyed peas and salt to the vegetable/ham mixture. Cook for another 10 minutes on low heat. 3) Serve over rice with sour cream and salsa. Want to keep up on the latest green news? Be sure to “Like” greenmomster on facebook. We previously reported on the endangered Lord Howe stick insect, and now there’s another probably extinct, but possibly just endangered Lord Howe species – a bat! 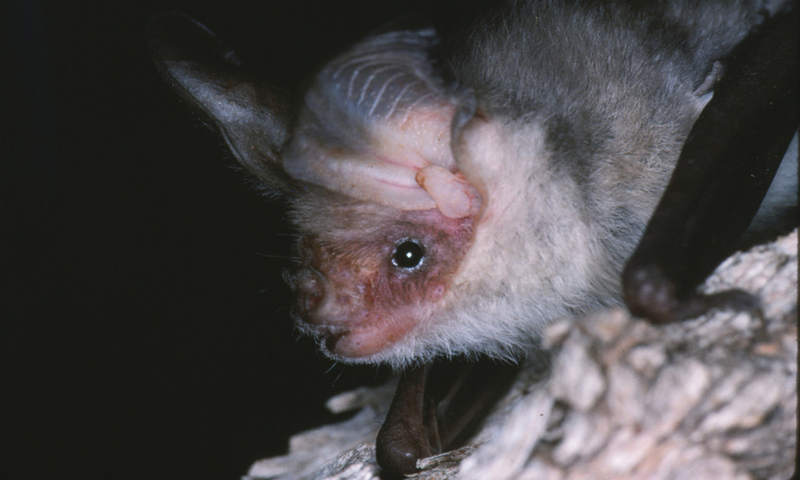 (photo credit of closely-related Gould’s Long-eared bat: Department of Environment Primary Industries) Scientists don’t know whether this species still exists, but they’re trying to gather information to solve the mystery. Last week, we mentioned that 15 Hawaiian species are newly listed as endangered species also. So why do we see these listings? Often, islands are home to species seen nowhere else on Earth. Because of the geographic isolation of islands, unique species often evolve in these areas – they end up being hot-beds of biodiversity conservation (think lemurs in Madagascar). The Duke Lemur Center is dedicated to conservation, research, and education to help protect lemurs. Perfect for Giving Tuesday! Educate yourself using the State of Hawaii’s fact sheets on species of greatest conservation need. Lord Howe Island has a friend group! Check it out here. In a past post, I wrote about a “Green Bible” that I received from my brother, as well as a blessing of the animals that we attended on World Animal Day (so much fun!) . I’m happy to see many people using their faith as a basis for protecting our natural resources. A great example of this intersection between faith and environmental action occurred in the Chesapeake Bay region. Last week, the Bay Journal reported on the “Living Waters” interfaith summit, hosted by the Chesapeake Bay Foundation, which encouraged discussion between faith groups and environmental groups. 150 people of different faiths gathered to discuss various issues affecting the Chesapeake Bay watershed and, most importantly, what actions these groups might be able to encourage – imagine the pool of ready volunteers available at the represented congregations! Are there any faith-based environmental activities going on in your neighborhood? Please share! Be sure to "Like" greenmomster on Facebook for all the latest green updates!